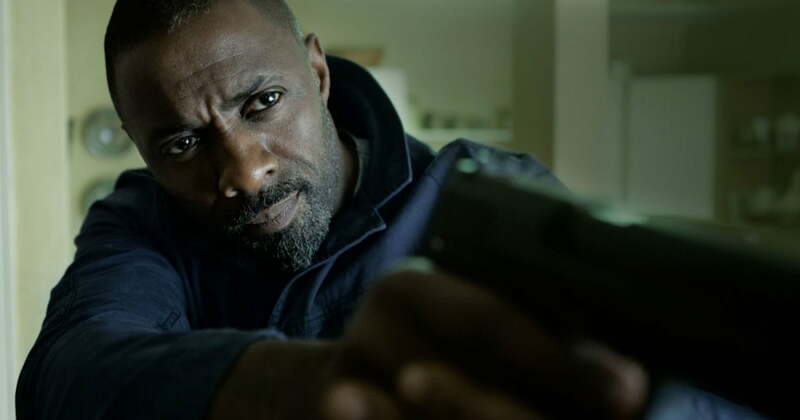 'Bastille Day' stars Idris Elba as a badass cop who takes no nonsense from anyone and isn't afraid to get tough with his suspects. That alone is probably enough to get a lot of butts into the seats for this film. But would 'Bastille Day' actually be worth your time? Or would it wind up being a generic and forgettable action-thriller movie? 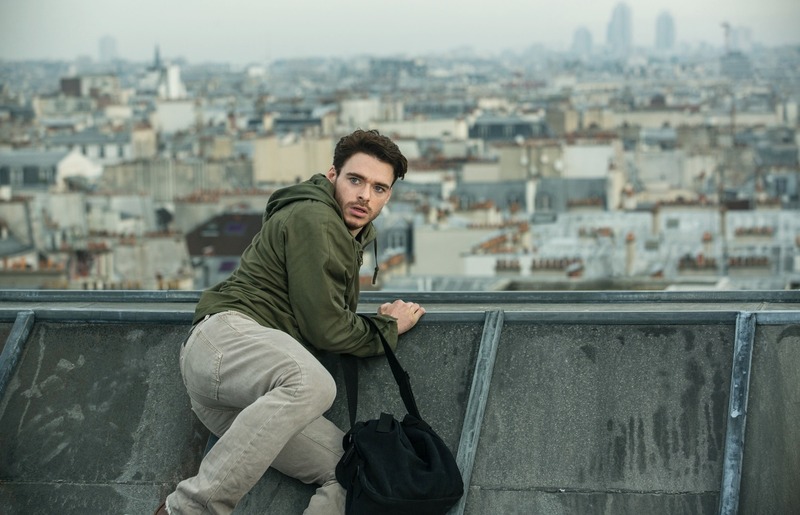 When a skilful pick pocketer (Richard Madden) accidentally causes what seems like a terrorist attack in Paris, he is then hunted down by Sean Briar (Idris Elba) a CIA agent who looks to bring justice. When the mess that has happened is explained, it is undercovered that there is something much more deadly to worry about as more terror attacks are planned to be carried out. They must now work together in an anti terror mission before it is too late on France's national day. Mason (Madden) and Briar (Elba) being forced to work as a team. 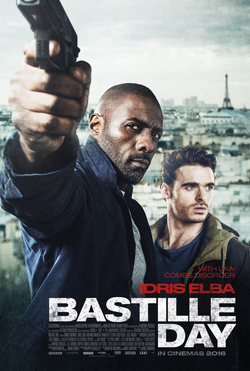 It would be very easy to say that 'Bastille Day' was simply Idris Elba's audition tape for him to be the next James Bond. If he hadn't done so already, Elba has cemented himself amongst the contenders to take over from Daniel Craig. His performance in the action of this film, could easily fit into a Bond film with him pursuing enemies as well as using weapons and hand to hand combat. His ruthless attitude towards his work adds to the similarities and to why we could possibly have Elba as the next 007. Our next James Bond possibly? Elba also shows fantastic chemistry with his co-star Richard Madden throughout the film with the two characters being quite the opposites of each other. Not only looks wise but also with Elba being a part of law enforcement and Madden's character Michael Mason being a thief who looks to make his money through selling others belongings. The two interact and play off each other very well and the pairing also bring a lot of laughs to the film. Due to this, the film is much more funnier than you probably would of expected. As an action film, there are most definitely some impressive scenes. One of the first action scenes involves Briar having to chase Mason down going through buildings and rooftops. At times this chase was a little slow paced but I actually think that this added quite a bit of realism to the scene as they were actually performing the scene on a rooftop rather than just in front of a green screen. A problem that I did have though was the film at times kept changing how they were filming the action. There were times when the action was being filmed very well and it was clear to see everything that was going and it looked fluid. However the film at times did resort to some cheap tactics such as shaky cam which makes it pretty unbearable and incredibly hard to watch. Albeit this, there is a scene that has a little feature within the trailer which has the action taking place in the back of a van. This scene in particular was my favourite and involves some great chaotic action. All within the constraints of the back of a van made it more impressive for me which appeared to be quite a fresh piece of action. The film is allowed to progress a lot in this film due to some of the characters being quite clumsy. A lot of times throughout the film, people will blow their covers or place things and lose sight of them to progress the story. This happened far too much throughout the film for my liking. Also the insinuation of hashtags being a main drive for a lot of the films events was a way of keeping it youthful but mainly pretty silly. It also leaves one quite important thing up in the air by the end of the runtime. There is quite a lot of convenient and silly things that go on throughout the film but if you can look past that and just see it as adding to the fun, then you will get enjoyment from it. 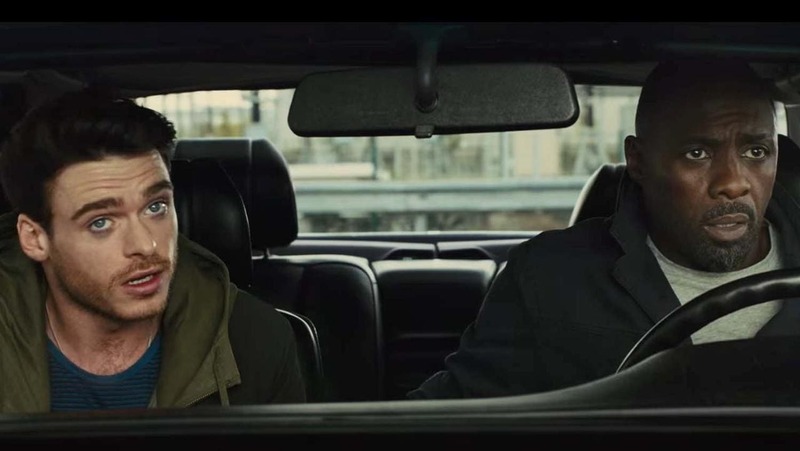 A very fun action movie and Elba and Mason are great together. However the film at times is quite a dumb action movie and nothing more really. There is definitely enjoyment to get from this film though and would be worth your time! So have you seen Bastille Day? If so what did you think of the film? I hope this review has possibly even convinced you to maybe check this film out. Once again, thank you for reading, it is much appreciated!